Years of Experience - Extreme Electrical Service LLC has been serving the industrial sector since 1997, and continues to offer dedicated, attentive service. Extreme Electrical Service LLC staff have handled industrial electric projects of every size, from telecom and data wiring to major equipment installation and exterior lighting design. A long list of satisfied industrial customers agree that Extreme Electrical Service LLC is the firm to call for experienced and knowledgeable service. Cost Effective - Offering affordable rates for professional service, Extreme Electrical Service LLC helps to keep your industrial electric project costs under control. Call Extreme Electrical Service LLC to schedule regular maintenance and keep your systems running well for maximum production. Electrical issues and repairs cause down time, which eats away at the bottom line. Extreme Electrical Service LLC provides the reliable service your company needs at competitive rates, from energy savings audits to equipment maintenance and communications installation. Licensed and Trained Staff - Experienced Extreme Electrical Service LLC electricians and technicians work hard to keep their skills up to date. As technology changes and electrical components continue to evolve Extreme Electrical Service LLC remains on the cutting edge with ongoing training. 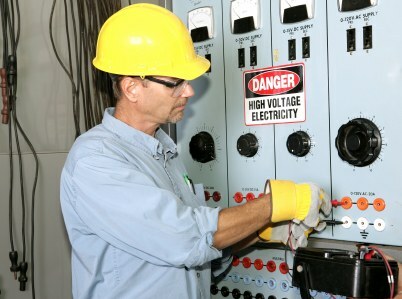 Extreme Electrical Service LLC works with leading suppliers and manufacturers, obtaining the information your company needs to create a safe, efficient workplace. Extreme Electrical Service LLC is well equipped to handle all of your industrial electric projects, from installation to repairs and regular maintenance. Experienced, affordable and fully licensed, trust Extreme Electrical Service LLC's extensive service record and reputation. Call (816) 548-1162 today for more information and to arrange for a free estimate on your project.